Rare Beauty in Weatherstone! Move right into this gorgeous property and begin loving it from Day 1! This low-maintenance patio home has character Galore from it's Charming front porch to it's kitchen old-world rustic finish. The open floorplan is great for everyday living and entertaining. The beautiful hardwood floors provide a warm and inviting welcome where the 3-sided gas fireplace, living room, dining area, kitchen all flow openly. The private patio extends your indoor living and entertaining areas and the convenient main-floor laundry make living easy! The master bedroom/bath and 2 add'l bedrooms upstairs along with a loft and full bath provide plenty of space. Alley entry into your attached 2-car garage. Walking distance to Whole Foods, Sprouts, Starbucks and many many more. 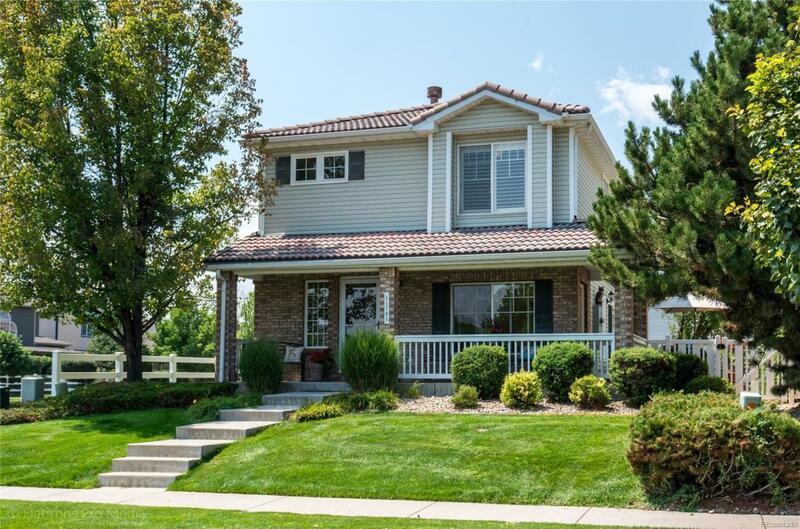 Convenient access to Denver and Boulder....you will love this location! Check out the slide show on this beauty. Hurry!